A compelling, historically accurate narrative of Hank Williams’ career that examines his tormented creative genius. I Saw The Light tells the inspirational story of Hank Williams, the iconic, influential country singer and songwriter of the 1940’s and early 50’s whose meteoric rise and fall has become part of American folklore. 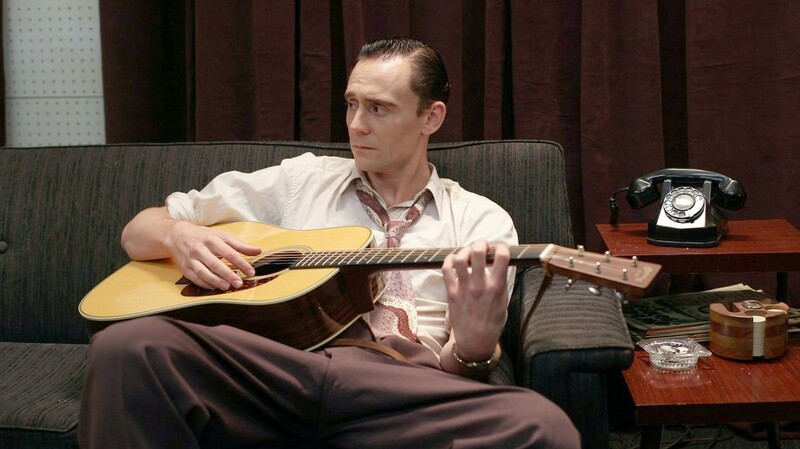 To become Hank Williams, the British-born actor Tom Hiddleston had to live in the skin of the singer, and spent five months encapsulating the life and interpreting it – including the singing – before one frame of film was shot. Writer-director Marc Abraham has created a compelling, historically accurate narrative of Hank’s career that examines his tormented creative genius and the turbulent domestic life that inspired him to write some of his best-known songs. By literally going back in time, you see Hank as he was, living his life on his terms, battling his demons and ultimately creating music for the ages. Director Marc Abraham began developing the film in 2009 and adapted the screenplay himself, based on the book Hank Williams: The Biography by Colin Escott, George Merritt, and William (Bill) MacEwen. 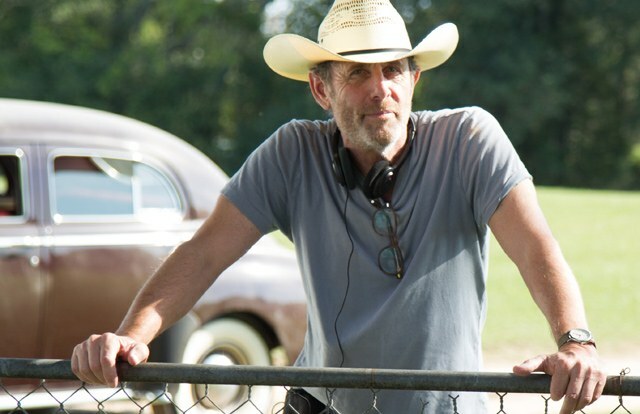 I Saw The Light marks the sophomore directorial effort from Abraham, who is a renowned producer of such films as Children of Men, The Commitments and Air Force One, and it was his love of Williams that made him grab the opportunity to direct with both hands to make a slightly different biopic. After meeting with a few young actors in Hollywood, Abraham knew that Tom Hiddleston was his man after watching Steven Spielberg’s War Horse. 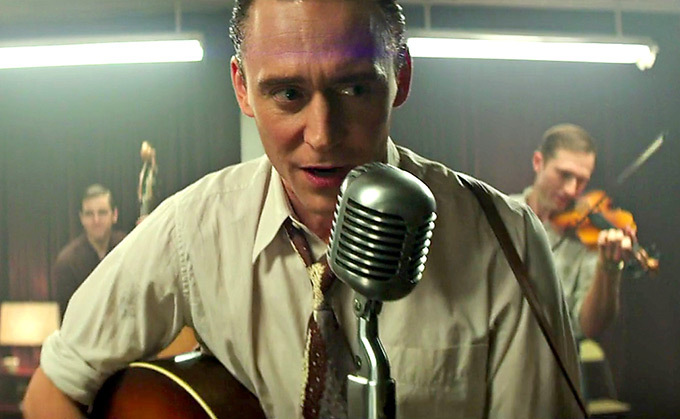 To become Hank Williams, the British-born actor Tom Hiddleston had to live in the skin of the singer, and spent five months encapsulating the life and interpreting it – including the singing – before one frame of film was shot. This allowed the script of director Marc Abrahams to be faithfully executed, and the result is a glimpse into another era, an influential music style and a passionate man. Marc, this is the first screenplay you’ve since your early TV days. What was it about the subject of Hank Williams that drove you forward to tell his story? I love country music, having grown up in Louisville, Kentucky. I loved all the greats, including Hank. You can’t be a music fan without knowing something about Hank Williams. People tell me all the time they don’t ‘like’ country music, but I always counter if you like the Rolling Stones, or Neil Young, or Kurt Cobain, they all were influenced by country music. What really provoked me was that about seven years ago, the idea of a Hank Williams movie was floating around, and this got my back up, because I thought if anyone does a Hank Williams movie, it ought to be me. Once I got that idea in my head, I just started writing the script. It would be about how it would appeal to me, and that’s how I originally got the impetus to go forward with it. Tom, you are a British man portraying a person from the American South. What do you understand more about the American South now that you’ve portrayed a country western icon? Well, in a sense I think I do because I understand Hank. I feel like he’s a friend of mine in a way, because I spent five months thinking about him, trying to get inside his head and expressing his art. I spent time in Nashville, and in Shreveport [Louisiana], where we shot the film. We worked with a lot of local people who were kind, generous and non-judgemental. They understood what I was trying to do, and this generosity led me to the sense that the South is a very authentic place, with a lot of pride and a great sense of community. Marc, what is your theory on where Hank’s vibrant creative energy came from, meaning what sense of himself? What do think is the key to coming up with such great songs? I’ve very carefully tried to stay away from answering that question. I think the real answer is elusive – it’s so hard to express why an artist is great. Hank came from dirt poor Alabama, was raised by a single mother who had no musical background, so I think it’s a type of magic that is sometimes dusted on someone, and he also was a true poet. To me, Hank’s legacy is his literary legacy – what he had to say. In country music, they always say it’s three chords and the truth, or a tear. It wasn’t about the guitar with Hank. He was a young boy without a father or guidance, who found a way to articulate a certain pain he had. What we endeavor to achieve in the film is to stay away from answering that question – not to try and understand the ‘why,’ but to show the experiences that he went through in his life, the acrimonious, passionate and high volume relationship he had with Audrey [his second wife], which obviously led to the inspiration to write those songs about the pain of love. Tom, you also had to portray a man who was alive over 60 years ago, during a time in history that is completely different in social and historical context than now. Again, what was the key to being a 1940s and early 1950s man, and where did you find that key? Hank Williams: I’ll tell you, everyplace we go play the girls come to me, and they want to know if this old boy has a Toni, or Lilts, or Hudnuts, or something like that…because his hair is so curly. Well girl, it’s all his but it’s ain’t natural curly, I’ll tell you. To me, it was an undiscovered side of Hank where you could hear his live persona between songs, doing these kind of comedy bits in a very real relationship to the audience. It wasn’t his radio voice or his appearances through the Grand Old Opry. This ‘lost concerts’ expressed his cadence, his turn of phrase and his wit. It’s quite old school, but at the same time it’s very fresh – it felt alive to me. On the same vein, what did you garner from either talking to or listening to interviews from Hank’s contemporaries? Hiddleston: There is a documentary out there, I think it’s called ‘Honky Tonk Blues,’ and it features terrific and insightful interviews from Hank’s people, especially the members of his band The Drifting Cowboys. There is one fantastic segment that stuck with me. – with a friend of Hank’s named Danny Dill – that they keep cutting back to in the doc. Dill said [HIddleston affects his perfect Southern accent], ‘You have to understand, the thing about Hank, is that legends don’t understand their legend as it’s being made – they’re just people.’ That was emblazoned in my mind as I portrayed him. It was an encouragement to take the icon off the pedestal and see the man. Marc, You’ve been associated with so many legendary modern films as a producer. In your experience, what characteristics of a movie set indicates that a film is really working and what indicates some problematic circumstances. And have you ever been wrong about those assessments when something problematic became a hit? In the midst of putting together a film, you cannot think about what the audience will be, or what the reaction will be to the film. You have to separate that out. I have very rarely been wrong about how I thought the film would be effective in my point of view, as a producer. You never concentrate on that point as a director, because all of your energy is in the rendering of the film. The one thing I found out about being the director of this film, is that there is never enough time. I would use every day until the last minute, which meant calling each other at 4am, or tweaking a scene at that time because it wasn’t quite there the day before. How does that all come together as an indicator of what will happen at the box office? As far as how a film will be received, that is impossible to know. I’ve been involved with films that I thought nobody would see become cult favorites. There are also films that you make, occasionally, that you know will be hit. But hit status is not the only indication that I think makes us succeed. In doing a film about Hank Williams, that is a huge building, like the Sears Tower, and makes a giant shadow. For both of you, If Hank Williams were to suddenly appear before us, what question would you like to ask him? Hiddleston: I always wanted to ask him, ‘How can I help?’ Because he was on a headlong trajectory downward, and if there was anyway to get through to him and help, I certainly would have offered. I find it tragic – despite the fact that his premature death at 29 has frozen him in time – that the idea that we lost a great artist too soon, and we never got to experience his songwriting as an older man. It’s a terrible shame.